The two main types of dentures are full dentures, and partial dentures. If you are looking to replace missing teeth, dentures may be an option for you. Dentures are a removable plate or frame holding one or more artificial teeth. They are custom made for the wearer from an impression taken of the mouth. Those who wear dentures do so as a means of replacing missing teeth. Dentures come in two main types: full dentures and partial dentures. Your dentist will help you choose the type of denture that’s best for you based on whether some, or all of your teeth are going to be replaced and the cost involved. Full dentures are essentially a full set of teeth. With full dentures, a flesh-colored acrylic base fits over your gums. The base of the upper denture covers the palate (the roof of your mouth), while that of the lower denture is shaped like a horseshoe to accommodate your tongue. Conventional full dentures are placed in your mouth after all the remaining teeth have been removed and the gum tissue has healed. This may take several months and during this time, you will be without teeth. On the other hand, an immediate full denture is inserted immediately on the removal of your teeth. Immediate dentures offer you the benefit of never having to be without your teeth, though they must be refitted several months after being inserted. Partial dentures are generally worn in the event of only a few teeth needing to be replaced. They are the removable alternative to bridges. They consist of a few replacement teeth attached to a pink or gum coloured base. A partial denture rests on a metal framework that attaches to your natural teeth. Sometimes crowns are placed on some of your natural teeth and serve as anchors for this type of denture. Partial dentures can be worn on both the lower and upper gums. Have you been thinking about dentures? 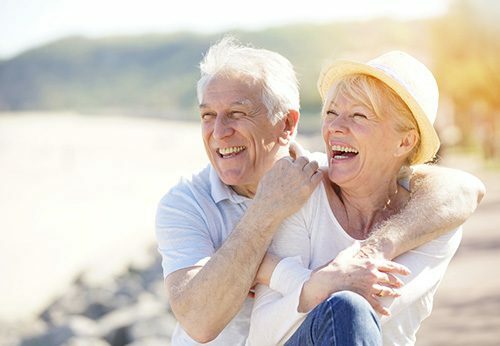 Our experienced and friendly team at Dentures at Clayfield would love to help you have the smile of your dreams. Contact our team today! Can I sleep in partial dentures? No. You should remove both partial and full dentures before retiring to bed to allow your gum tissues a chance to rest and to recover. It will also expose your gums to the antibacterial agents found in your saliva. No. Immediate dentures are inserted immediately after your teeth have been removed. Though your gums and bones may shrink after time has passed and the immediate dentures may have to be refitted or even replaced.